The Foundation is saddened by the loss of Marysville community member, Jerry Johnson. Jerry held a number of positions in sales, life insurance and, for the majority of his career, manufacturing management in the automotive industry. He was well known for producing great results through encouragement and recognition. He had a wonderful sense of humor and took absolute delight in delivering or hearing a funny anecdote. He was quick to recognize people and would not leave a venue without greeting all his old friends and making new ones. 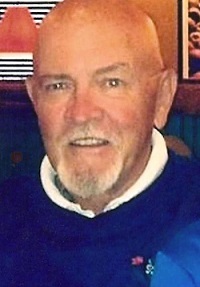 Jerry was an avid golfer and enjoyed playing at Marysville Golf Club, as well as working there after his retirement. Family was at the center of Jerry’s life and his heart. He was so very proud of his children and grandchildren. He was a volunteer for Cub Scouts and also coached youth league baseball, for many being a father figure and encourager during their formative years. He will be greatly missed by his community and loved ones. Memorials may be made to the Marysville Community Fund.